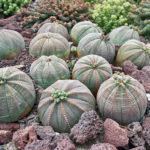 Euphorbia obesa is a dwarf, spherical, spineless succulent, grey-green in color with transverse red-brown or purplish bands. 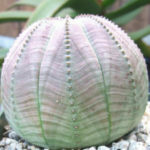 It can grow up to 8 inches (20 cm) tall and up to 3.5 inches (9 cm) in diameter. 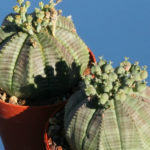 It has rudimentary, caducous leaves and usually 8 vertical, broad, slightly raised ribs with shallow furrows in between. Small inflorescence is borne on short peduncle from stem apices. Female and male flower are born on different plants. 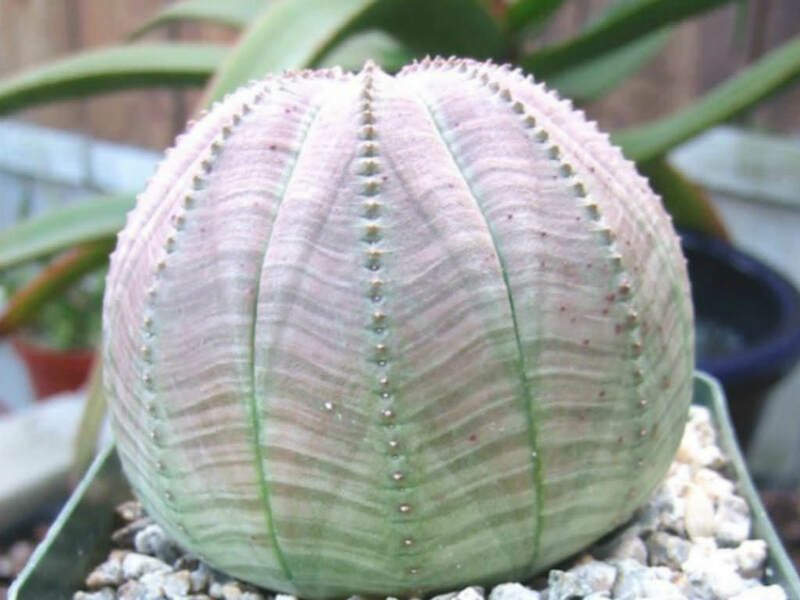 The fruit is a slightly 3-angled capsule up to 0.3 inch (7 mm) in diameter. As Baseball Plant often grows in partial shade in its native habitat, place it on a windowsill where it receives sun for only part of the day, preferably during the morning. If you move the plant outdoors during the summer, adapt it to the increased light gradually and position it under the high shade of a tree or shrub, where it will receive direct sunlight only at times of the day when the sun is not directly overhead. 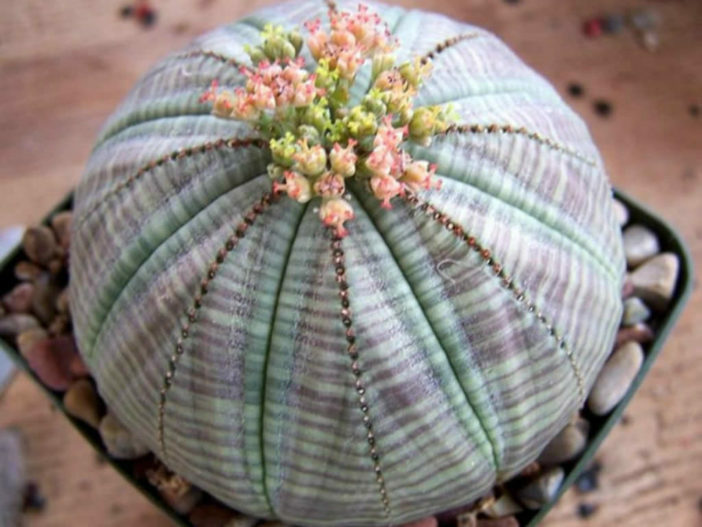 If it begins to lose its plaid coloring, it needs more light. 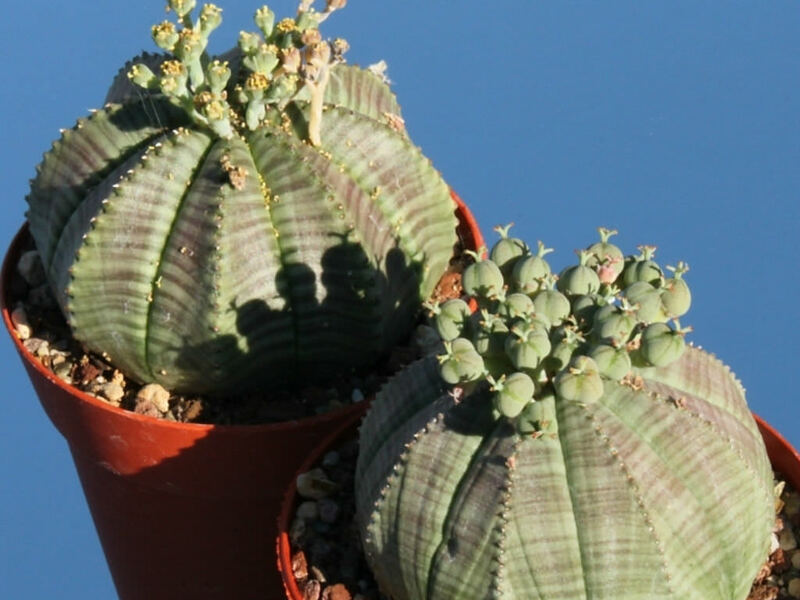 Like most succulents, Baseball Plant will rot in soggy soil, so keep it in a clay pot filled with a potting mix intended for cacti and succulents. Use a pot with at least one drainage hole. If you don’t have such a mix available, you can create your own. 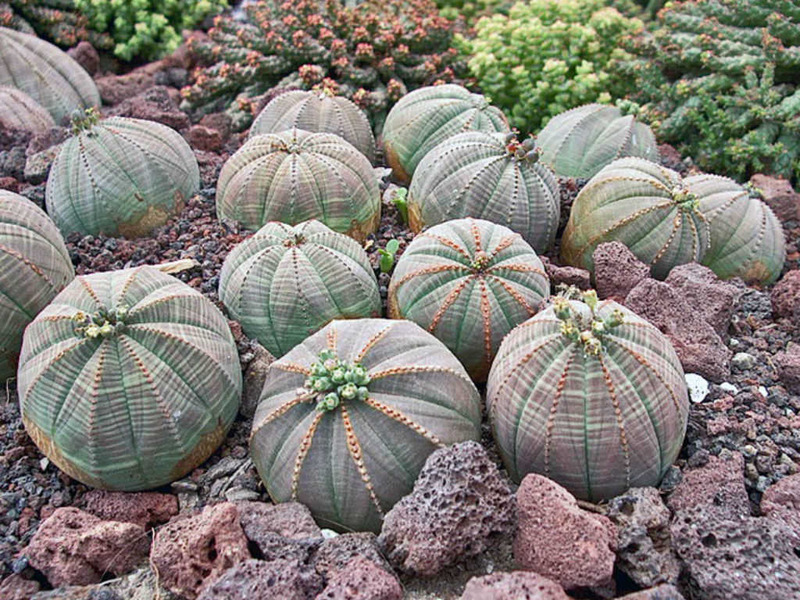 Euphorbia obesa is native to South Africa, especially in the Cape Province.